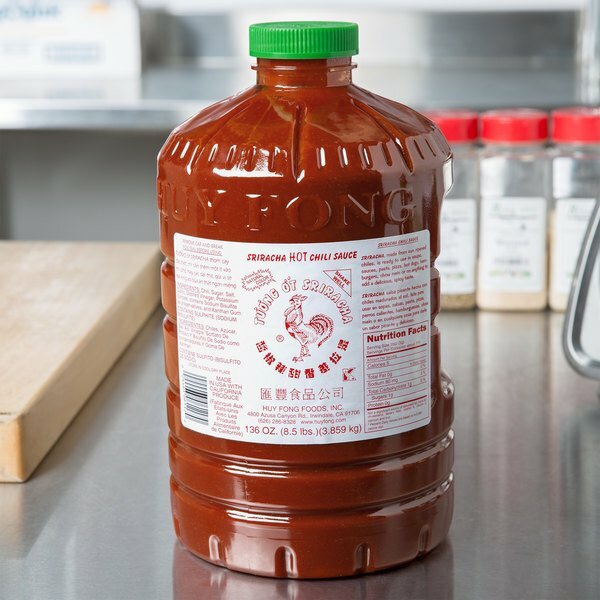 Give your customers one taste of this Huy Fong 8.5 lb. sriracha hot chili sauce, and they're sure to become hooked on its tangy, spicy taste! 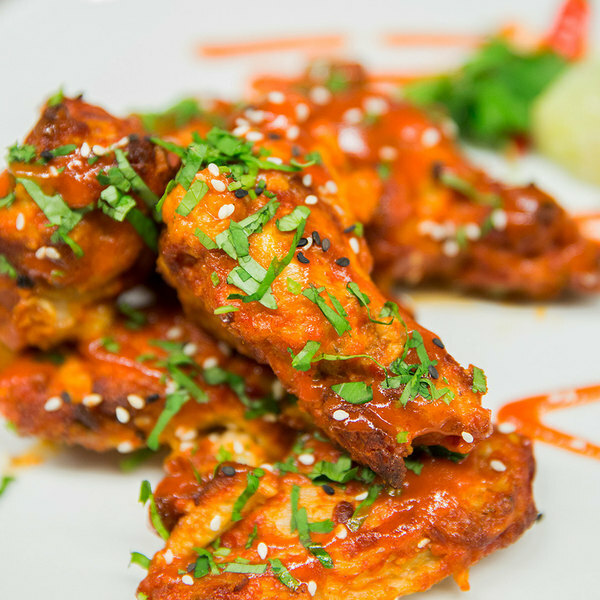 Extremely versatile and packed with hot flavor, sriracha sauce, also known as rooster sauce, continues to grow in popularity in bars, restaurants, food trucks, and events. It is made from sun-ripened chilies ground into a smooth paste. Just a small amount will spice up any appetizer, snack, or entree you create! Common among Thai and Vietnamese cuisine, it's perfect for pho and spicy-sweet peanut sauces for dipping fresh spring rolls. Blend it into signature barbeque sauces or hot sauces for wings, hot dogs, and hamburgers. Use it right out of the container, and it's a quick and easy way to enhance the look and taste of pad Thai, chow mein, wontons, and soups. It also adds the perfect zesty kick to vegetarian dishes. 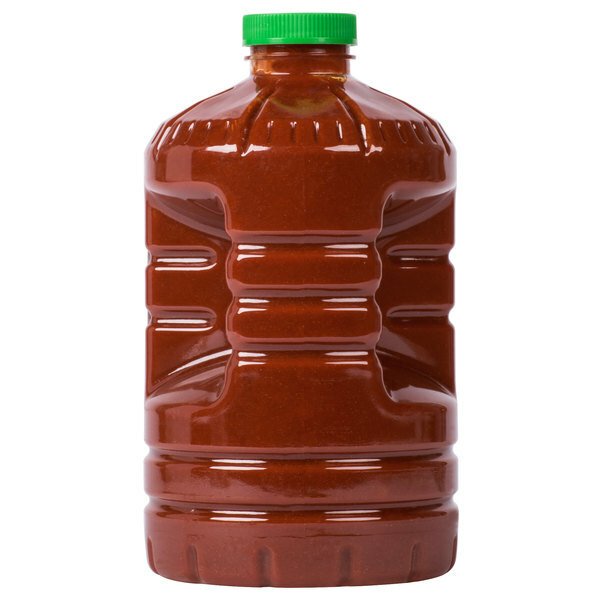 Provide the hot and spicy condiments your guests crave with this bulk supply of sriracha hot chili sauce. This large container is great for preparing zesty dishes in the back of the house. Smooth, never watery, and always flavorful, this sauce will add naturally bright red color and bold flavor to any dish. I couldn't find a big case of this at my local restaurant store and so when I found it on here I was so excited. Great quality as well! Our customers favorite sauce!! Spicy but delicious. They put it on everything. Wings, pizza beef patties, , you name it. Ordering a case of 3 is a month is a must . 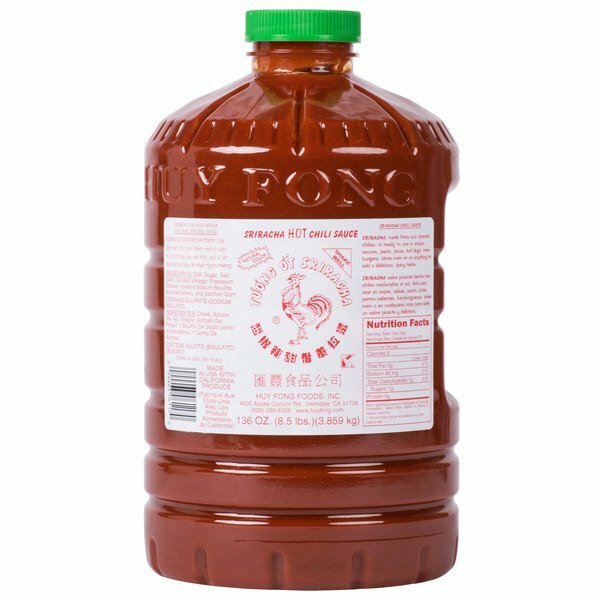 Huy Fong is the standard for quality Sriracha sauce, we use this product to make a killer chicken salad that flys out the door. People love it! Siracha hot chli sauce is favarite hot sauce ?good taste?We use big one to refill so we do not need to so many small bottles? Great for refilling bottles. Just beware of the concentrated chili smell when you open the product to refill the bottles. This is a good deal if you don't have an asian store close around. So much sriracha! I love it’s garlicky spicy flavor more than just about anything. These are nice for refilling reusable condiment squeeze bottles. Love it! 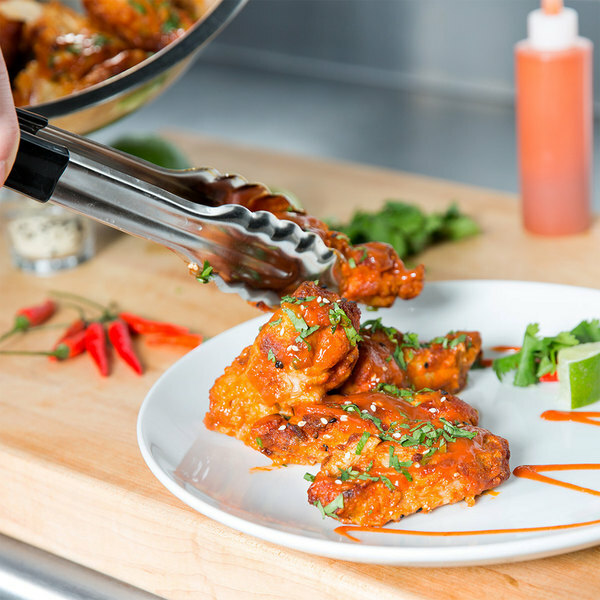 A wonderful Sriracha hot chili sauce that is great for making our hot chili chicken nuggets. The sauce is well packaged and has a great heat level. This sriracha is essential to my signature Thai chili salmon dish. I am a caterer and do many weddings so I can use a ton of this sauce on a given night. I am glad to find this value on webstraunt. For making bulk recipes with sriracha this is definitely the best product and at the best price we could find. Will continue to buy in the future. The Huy Fong sriracha hot chili sauce is awesome. I love the big container because it is perfect for filling up our squeeze bottles. The taste is great and a wonderful flavor. Wow. I can't believe I can get this much sriracha for such a low price. I love webstaurant. Sriracha is one of my favorite condiments, especially when I order beef noodles.